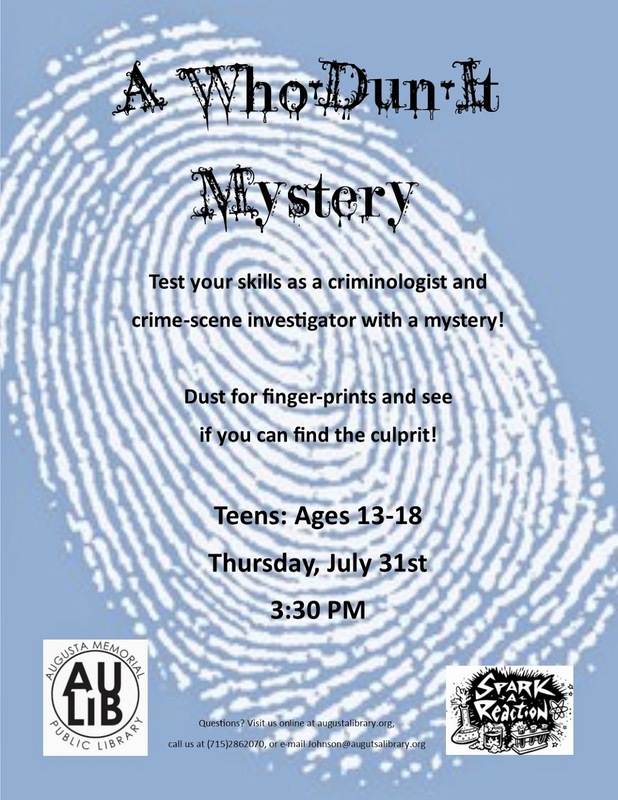 If you're a teenager and you love mysteries, come to the Who-Dun-It Mystery at the Augusta Public Library on July 31 at 3:30 p.m. You'll use your sleuthing skills and dust for fingerprints in order to find the culprit. Please contact Samma Johnson at johnson@augustalibrary.org or call the library at (715) 286-2070 if you'd like more information. Popcorn and and a Movie Nights Are Coming Soon!